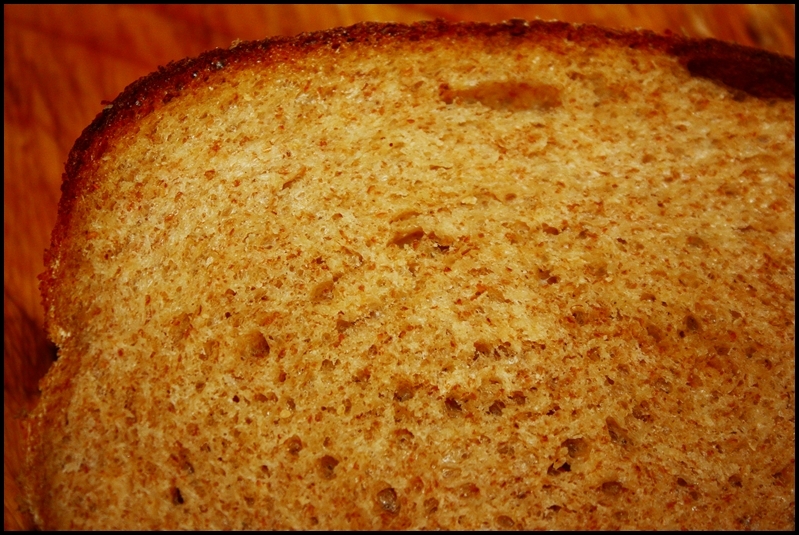 This bread is really delicious, nutritious, and simple to make. But contrary to what you may be thinking it is not overtly sweet (just mildly); it's really a savory bread (but it does make great French Toast); I've eaten 3/4 of a loaf in the past few days. The sweet potato adds more than flavor and nutrition to the bread, it also adds a certain subtle softness and airiness. You'll be surprised how soft this bread is even though it is made with 100% whole wheat flour. Anyhow, the recipe is below. 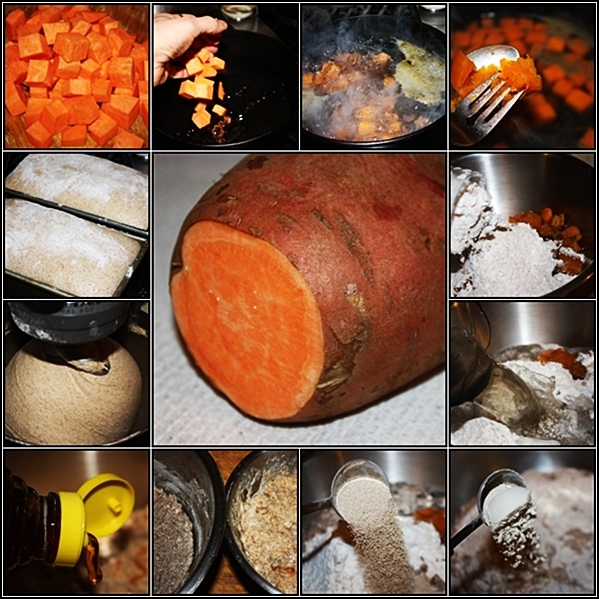 Boil the sweet potato in the water for about 20 minutes, or until thoroughly cooked. After the sweet potato is cooked allow it to cool in the liquid to room temperature, refrigerating if necessary. Once cooled drain it, squeezing it with your hands or the back of a spoon, reserving the cooking liquid. Place two bowls side-by-side; one will hold the pre-ferment, the other autolyse. In one bowl combine the cooked and drained sweet potato with ½ cup of the cooking liquid, 2 cups whole wheat flour, and 2 teaspoons instant yeast. Stir it just until combined then cover it with plastic wrap. In the other bowl combine 4 cups whole wheat flour, 3 tablespoons vital wheat gluten, and 2 cups cooking liquid; stir it just until combined then cover it with plastic wrap (take care not to get yeast into this bowl). Allow the bowls to rest at room temperature for about an hour, during which time the preferment will begin it's job multiplying yeast and fermenting flour, and the autolyse will soak liquid, swelling the gluten. 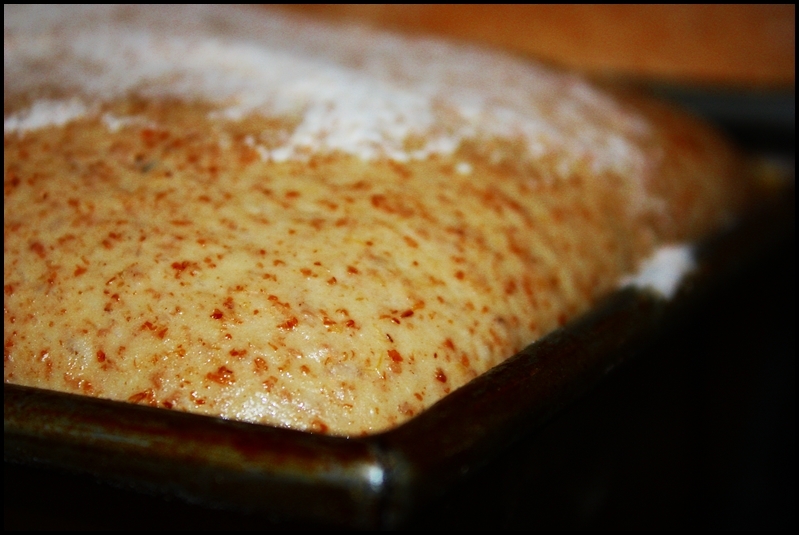 Bake with grams to get a far more accurate result. Yes Grace, I am fully aware that weighing rather than scooping or spooning is more accurate, but unfortunately--like most Americans--this is the system I was raised with and am most comfortable with. 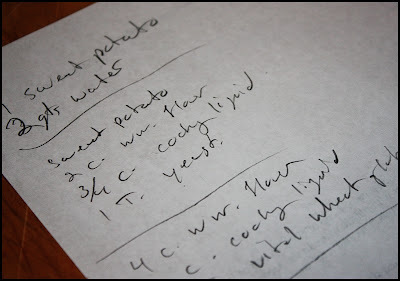 I do have a scale that converts to metric, but writing (or re-writing) recipes thus can be tedious. As far as my measurements "being out," you have to be more specific. Did you try a recipe and it didn't work? 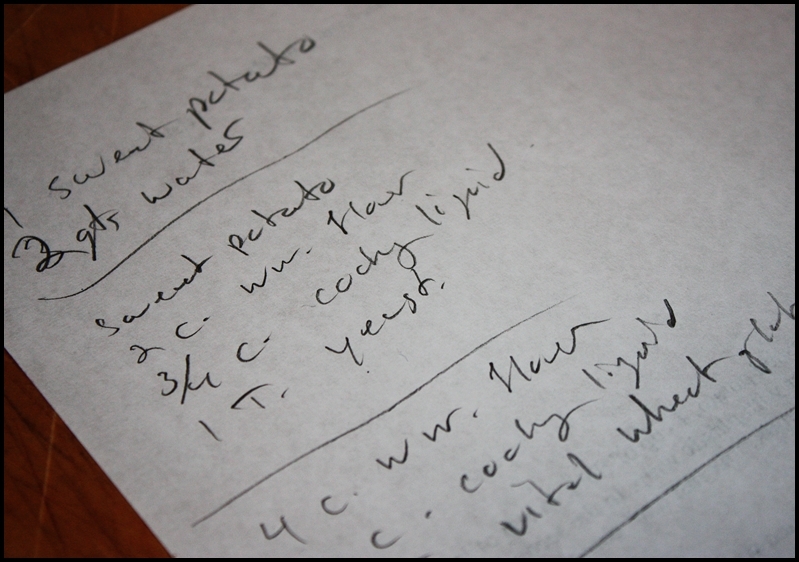 Sometimes when adding wet ingredients such as boiled sweet potatoes more flour is needed in the dough. And yet other times it may be...well I may be wrong (I am far from perfect). Thanks for visiting.